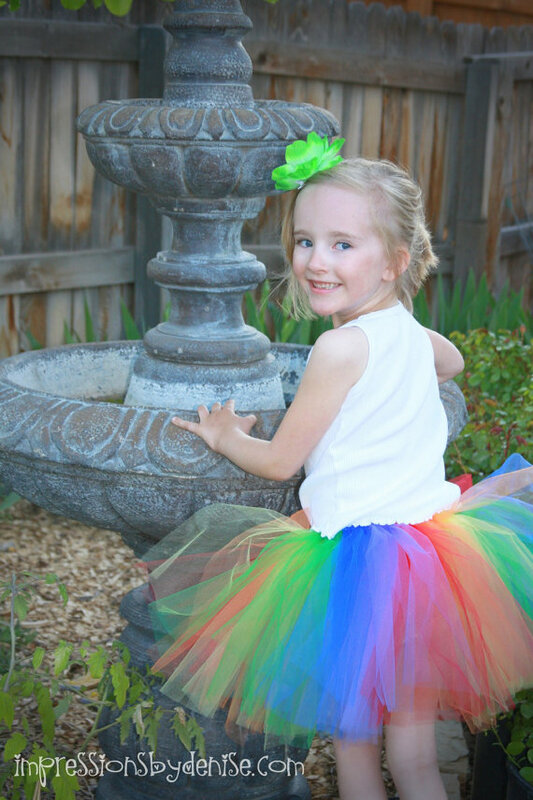 Whether your little girl has a birthday party coming up and you have been looking for the perfect dress for her or perhaps she is going to be a flower girl in an upcoming wedding, whatever the occasion, We can't think of a better way to give your little princess an outfit that has a touch of elegance and grace than with this stunning tutu dress! 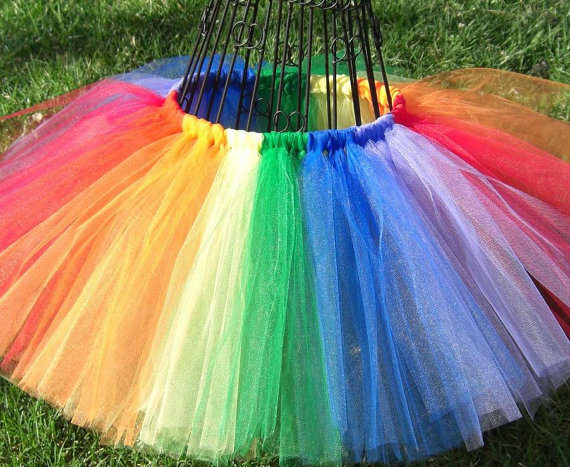 With its yards upon yards of rainbow colors soft tulle, can't you already see your little girl twirling round and round, showing off her new dress? 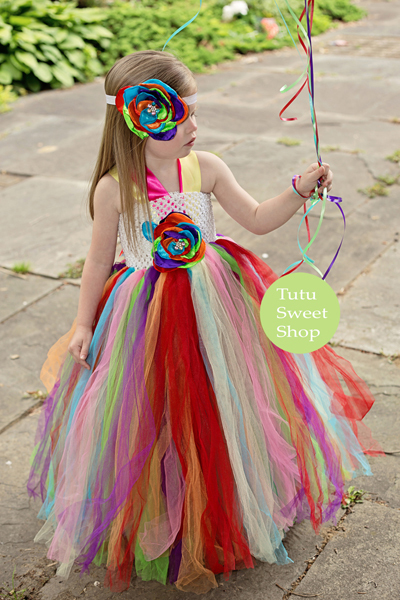 The tulle skirt is securely attached to a matching crochet bodice that is completed with a beautiful handmade removeable sash complete with satin flower. 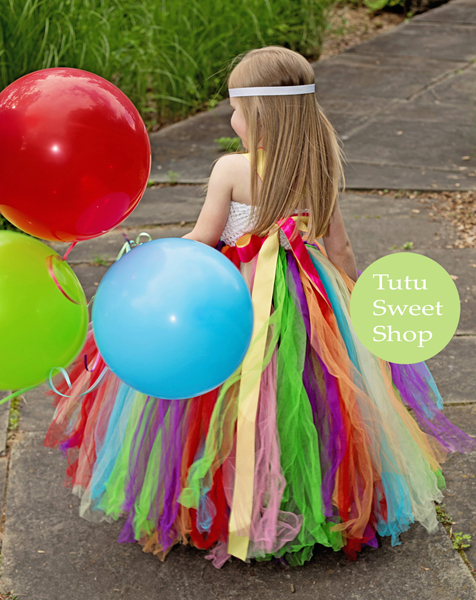 Our tutu dresses are made with over 200 yards of tulle so they are nice and fluffy but we still recommend wearing shorts or a slip underneath. 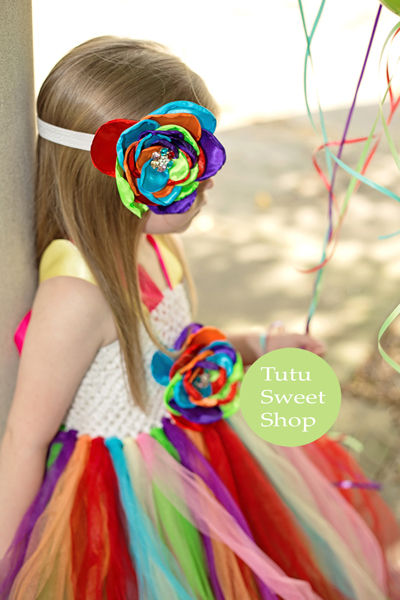 Feel free to leave us your little ones measurements in the comment box. We would need from armpit to floor, chest and waist. 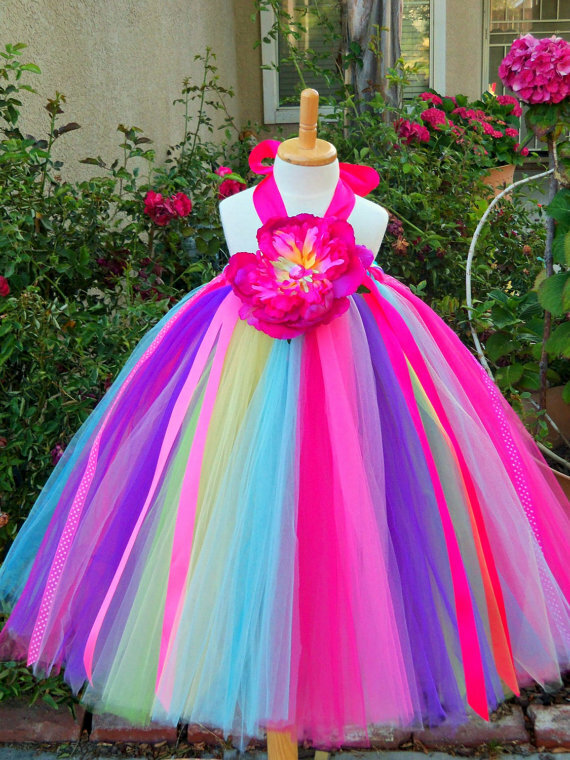 This item is custom made to order in the US. Can take from 8 weeks to ship depending on the season. plus shipping time.